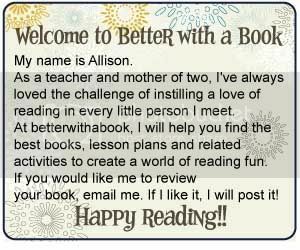 Better With A Book: Fall Mixed Up! The leaves are changing, the temperature is dropping, football season is here...all signs point to fall! As much as I love summer, I don't mind pulling out those sweaters and boots for the first time! Check out this new book for the season, Fall Mixed Up, by Bob Razcka. You have never read a more mixed up book! Squirrels are flying south in figure eights, scarecrows are standing guard over candy corn sprouts, kids are wearing mittens on their heads and hats on their hands... There are so many things we enjoy in Septober, Octember and Nocember, right? Your students and children will laugh out loud to these crazy mix-ups! Happy Fall, everyone! 1. Read the story and then have the students record all of the mix-ups they can find! Look at the pictures AND the words!! Children have so much fun picking out mistakes-especially when they're silly ones! 2. 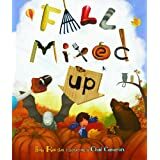 After reading Fall Mixed Up, create your own Mixed Up book. Choose a theme that goes along with your lesson plans like back to school or Halloween. Have each student create a mixed up page and then bind them together for a silly, themed book for the classroom!